I’ve been trying to switch up my usual breakfast of toast with banana and peanut butter, so when I had a second snow day (this week!) 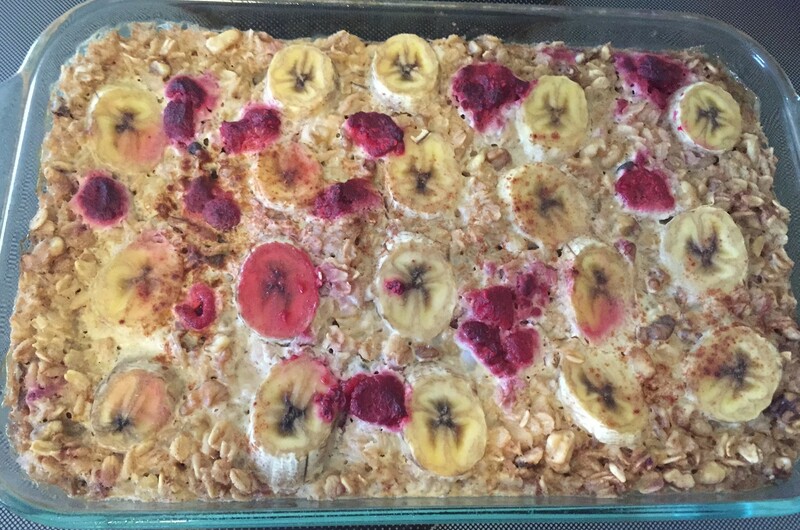 on Tuesday, I decided to make this oatmeal bake I had seen on Instagram. 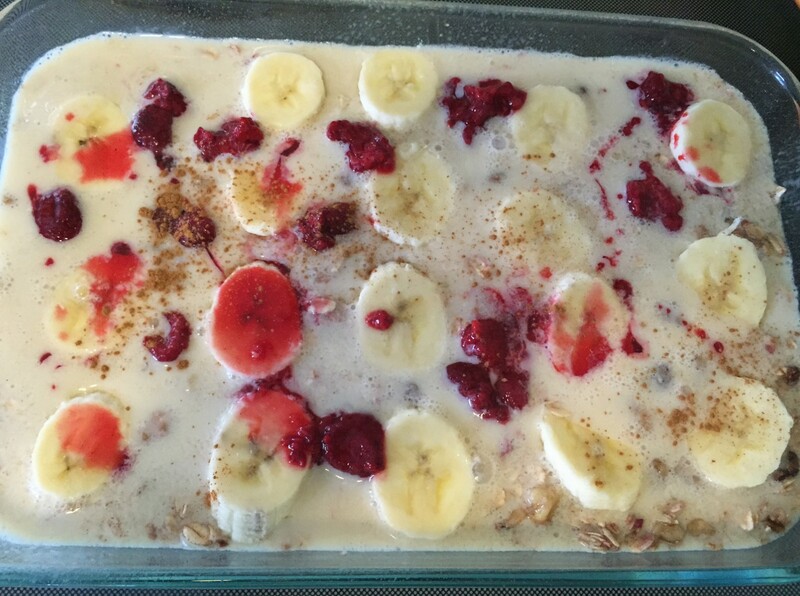 It was super easy and made 6 servings, so breakfast for the week is ready! Each morning I just heated a slice and poured a tablespoon of maple syrup on top…delicious! And there are so many ways you can mix this up; I’m picturing peanut butter and banana, blueberries and strawberries…yum! 1.) 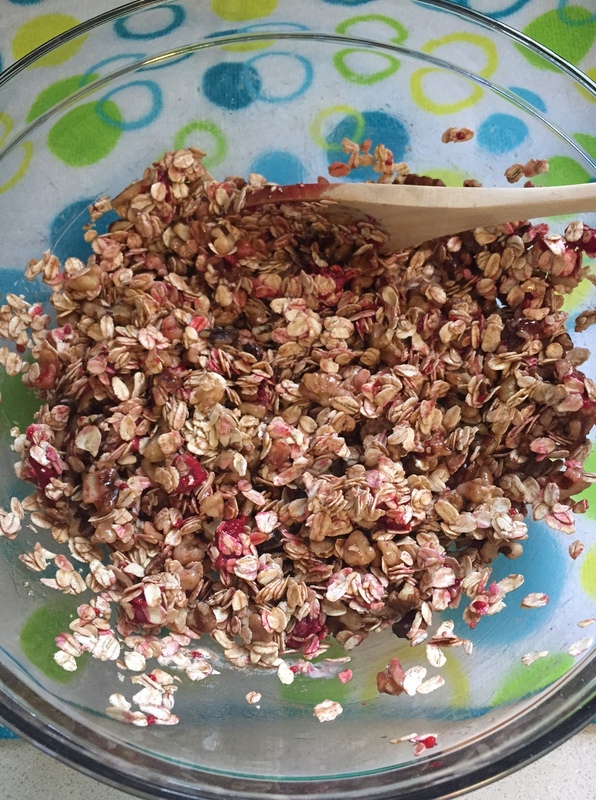 Preheat oven to 350 F. In a large mixing bowl, combine oats, syrup, cinnamon, baking powder, walnuts, and 1/2 cup raspberries. 2.) In a separate bowl, mix together the egg, milk, and vanilla extract. 3.) 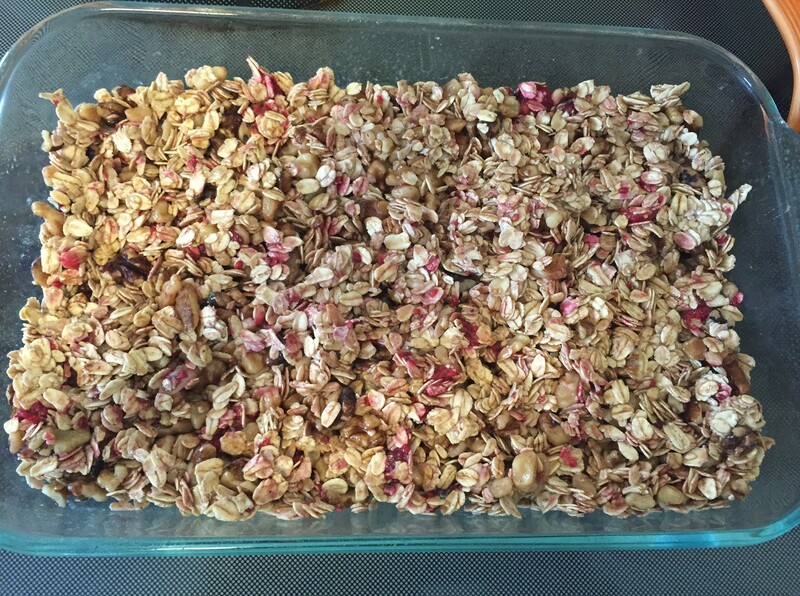 Spray a glass baking dish or brownie pan with cooking spray and spread the oat mixture evenly. 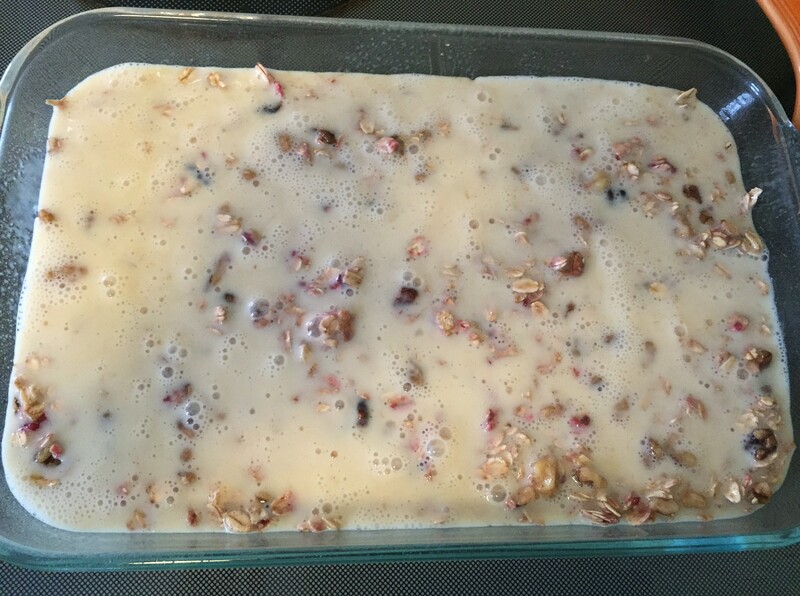 Pour the egg mixture over the top and shake a little to settle it evenly. 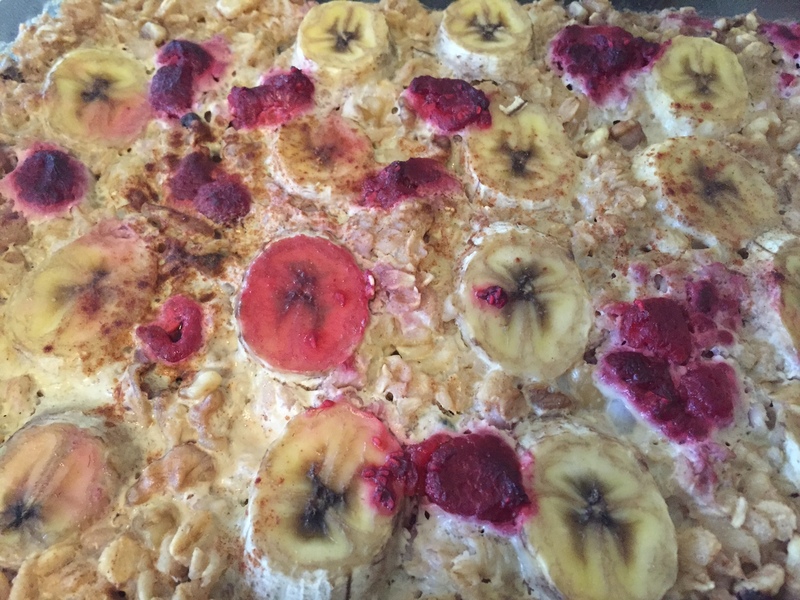 Top with remaining raspberries, banana slices, and a little cinnamon and bake for 35-40 minutes. Serve each slice warm with a tablespoon of maple syrup, if desired, and enjoy! Oatmeal recipe sounds great. I’m also seeing your frittatas recipe and need to buy one of those divided baking pans like you use.